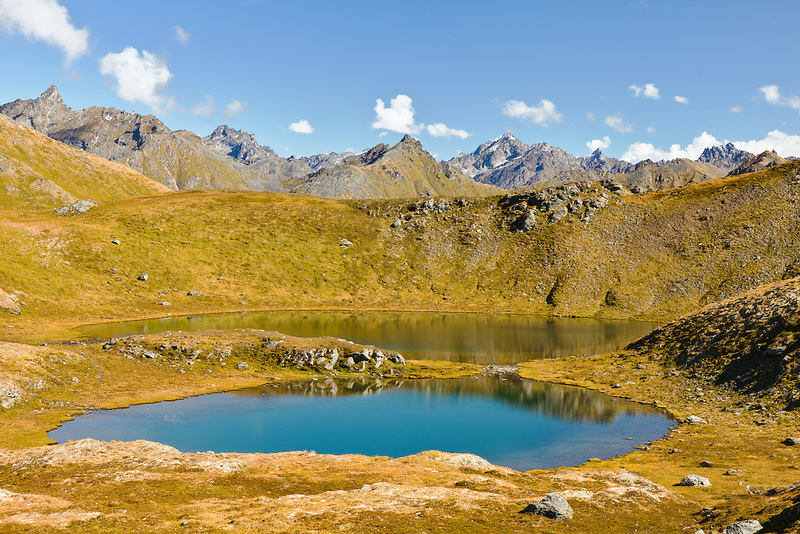 Two of three April Bowl tarns among the Talkeetna Mountains at Summit Lake Recreation Site in Hatcher Pass in Southcentral Alaska. Summer. Afternoon.